So this 2017’s new year resolution is a healthier me ! shocking right? I feel like we all make the effort to start the year right, but never know how to succeed. I think one of the daily struggles is waking up and heading to the gym. I think we can all agree on this one, but something I’ve noticed is that when you get a good night’s sleep, waking up becomes easier. I love going to the gym when I wake up, I know for some of you that may be quite difficult because of your schedules, but I love a good morning workout. Personally, I love doing Pilates because it strengthens my core and although my body feels better when I do cardio, I usually only go walking around my neighborhood. 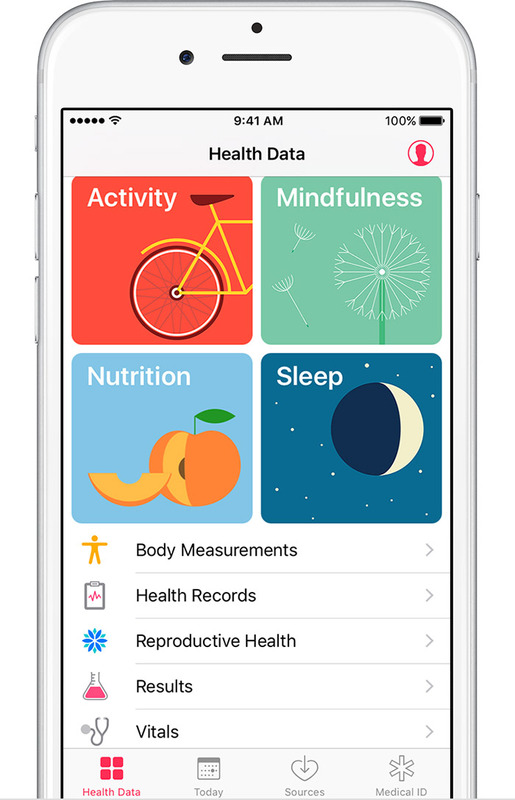 One of the most underrated apps, which I love, is the health app from Apple. 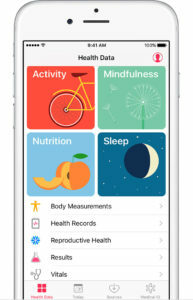 It can be used on wearable technology or through the phone, and it has several sections: activity, mindfulness, nutrition, and sleep. The dashboards on each of the categories monitor your everyday habits and you can see your progress. If you are not that into fitness, just try going on the app and playing around with it because your overall health is the most important. It is super easy to use, and there are suggested apps on there as well. My favorite section of the app is the mindfulness section. The mindfulness section reminds me that being on the go all day everyday is not healthy. We need to take time out of our day to relax, take deep breaths, and enjoy the little things in life. Drinking a lot of water throughout the day is also very beneficial because it boosts your metabolism. 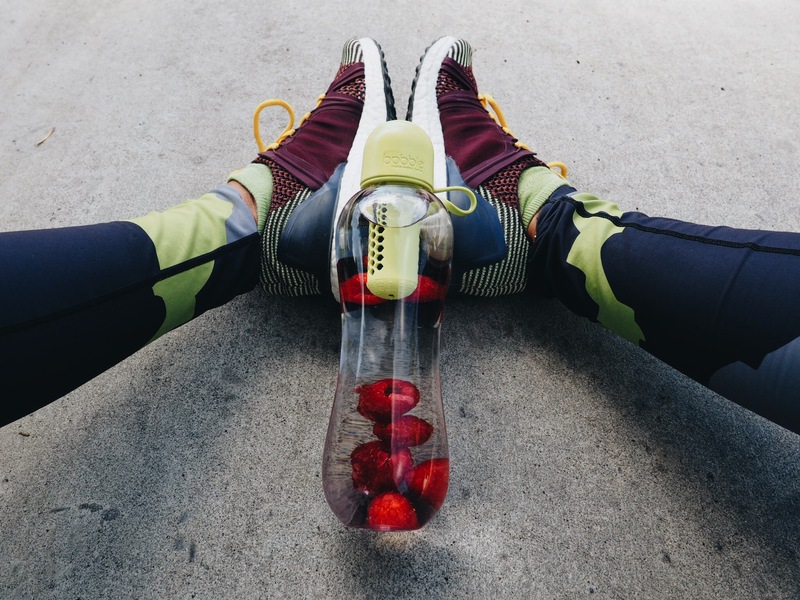 I love creating infused water with different everyday flavors because it encouraged me to drink more water, and that in return speeds up my metabolism more. 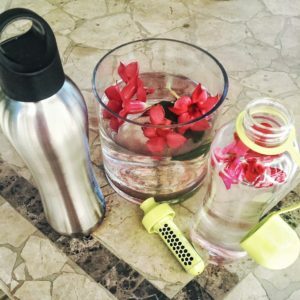 There are many infused water recipes, and the best part is that an infuser bottle ranges from $10-$20 dlls. Sometimes there are many errands throughout the day, so I have to hit the gym and right afterwards I have to hit the town. Can we all say cute gym clothes? I love my neutrals, but also Nike. Nike is a must for sports and fitness gear, but their solid black shoe with the white swoosh is pair-able with anything. Their workout wear ranges from loose and breathable to curve hugging. You guys can shop the look below and put a personal spin to it as well. Hope you guys enjoyed my fit tips, and there is more where that came from. Look forward to a little recipe detox blog. Every year I have this resolution but this year I’m taking it super slow so I won’t get discouraged. I know it will take me twice as long to get to my goal but I feel that this way will help me stay on track easier. That’s great to hear ! Hopefully new and upcoming posts will keep us all motivated ! Apps really help me! Especially myfitnesspal!